Historically, leather drinking vessels were lined with boiled resin of the birch tree or brewers pitch. Our tankards are now lined with epoxy resin to echo the historic use of resin. 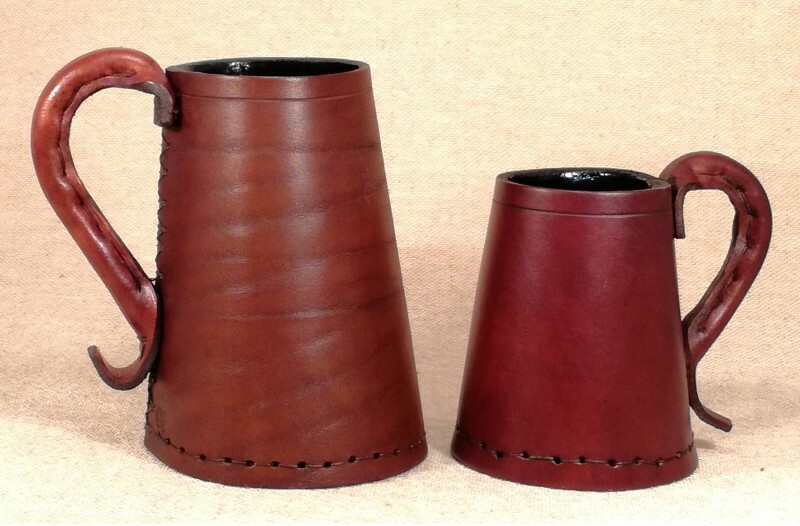 The Tudor Style tankard is broad based for shipboard stability and has become the traditional tankard shape. Modelled on the shape of those recovered from Henry VIII`s flagship the The Mary Rose. Large Tankard height - Approximately 15cms with capacity approximately one pint. Small Tankard height - Approximately 11cms with capacity approximately half a pint. As seen in the Pirates of the Caribbean films.